Smells of summer: Brrrr, it’s cold here: down to minus 6ºC last night, and you might think that thoughts of summer are far from my mind, especially when I reluctantly drag myself out of a cosy bed to do the morning rounds, feeding our animals and thawing their drinking water. No so. When I have my face in a ball of hay—see the photo above—I can smell the summer sunshine. What I’ve come to understand, over the two and a half years we’ve been keeping animals, is that animals are solar powered. Grass can be deceptive, until you start to think in solar energy terms. According to the law of conservation of energy, energy is neither created nor destroyed but can only be transformed from one form to another. For example, when you drive a car, you burn chemical energy (petrol / gas) which turns into motion energy, then when you brake, it turns into heat. Back to grass: in the height of summer, it doesn’t grow very quickly, looks a bit dry but (we now realise) is very rich in nutrients. Par contre, in winter, it’s lush and green but is not nearly so nutritious for the animals … and that’s all to do with the sun that it receives: more sun = more food energy in the grass and vice-versa. 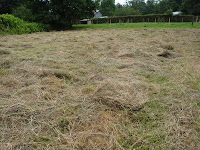 Hay is dried grass, cut in early summer. Getting the best out of the hay is a complex issue. The grass needs to be cut when the leaves are fully developed but before it sets seed and the weather is really important too. After it’s cut, it needs to dry in the field before being baled, so farmers keep a close eye on the weather forecast to try and time it just right. 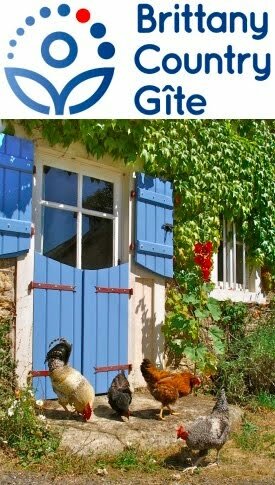 These are the subtleties and savoir faire (know how) of the countryside that we’re only beginning to understand through observation and experience. We asked farming neighbour Paul to cut a small field of hay (see photo) during our first summer but (as he’s a pig farmer, so doesn’t use hay himself and hasn’t got the attachment for his tractor to do the job mechanically) I then had to turn it by hand over a couple of days to help it dry in the sun. I have mild hay fever but you might imagine, that lifting, shaking and turning forkfuls of the stuff on a hot summer’s day, I was soon sneezing continuously and my eyes running with tears. It became futile to blow my nose and wipe up, so I looked a right snotty mess as I slowly progressed around the field, roaring and trumpeting away. 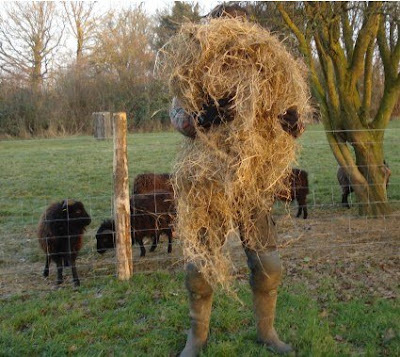 The next photo shows the venerable Annick inspecting the hay to tell me whether it was ready to bale, followed by a retired farmer, Robert, harvesting it into small, human-scale bales, literally baling up the summer. I’m no expert, but as I unpack these small bales, or unravel the huge round bales that we bought last summer, I check its quality, looking for any mould, removing twiggy bits and burying my nose in it to smell. No sneezes this time; good hay smells delightful and has a real grassy sweetness to it. 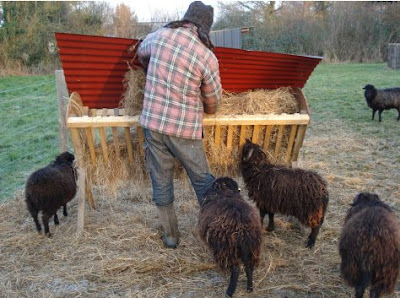 The sheep then appear to sort it further or perhaps they’re just messy eaters, as they spread it around below the hayrack. Over the next couple of blogs, I’ll bring you up to date with some other winter jobs, including burning straw over the strawberry patch and working in our woodland: thinning a plot of sycamore for next winter’s firewood, letting some young oaks breathe and creating a woodland walk.